Prime Minister Narendra Modi will address a public rally in Chennai and will share the dais with BJP's allies. This will be Modi's third visit to the state. This will be Modi's first public meeting after the alliance was formed with ruling AIADMK, PMK and Puthiya Tamilagam (PT) for 2019 Lok Sabha elections. He will share the stage with Tamil Nadu Chief Minister K Palaniswami, Deputy Chief Minister O. Panneerselvam, Pattali Makkal Katchi (PMK) leaders S. Ramadoss and Anbumani Ramadoss and Puthiya Tamilagam leader S Krishnasamy. Meanwhile, AIADMK sources said that actor-turned politician Desiya Murpokku Dravida Kazhagam (DMDK's) party is likely to join the NDA today. Modi will unveil a series of infrastructure projects, including a Rs 5,150 crore LNG Terminal project of Indian Oil Corporation.The 5-million metric tonnes per annum capacity facility is part of India's plan to enhance the share of natural gas in the country's energy basket to 15 per cent by 2030 from 6.2 per cent now.The terminal would cater to Chennai, Tiruvallur, Coimbatore, Salem, Kanchipuram, Ramanathapuram etc. 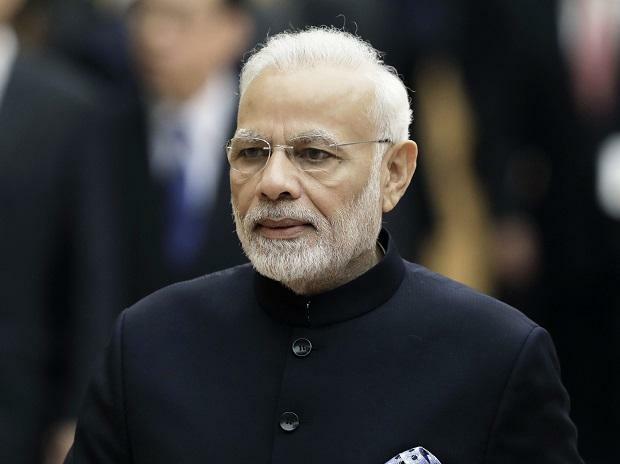 Modi will also lay the foundation stone for the four lanes of Vikravandi- Sethiyathopu section, Sethiyathopu – Cholopuram section and Cholopuram-Thanjavur section of NH-45C as well as the six laning of Karaipettai-Walajapet section of NH-4. He will also dedicate the four laning and strengthening of carriageway of Avinashi-Tirupur- Avinashipalayam section of NH-381 to the nation. In the railways sector, Modi will dedicate the electrification of Erode-Karur-Tiruchchirapalli and Salem-Karur-Dindigul railway lines to the nation. In addition, the PM will unveil the statue of late Chief Minister M G Ramachandran at Dr. MGR Janaki College of Arts & Science for Women, Chennai through a video link. The Prime Minister will also interact with the beneficiaries of Ayushman Bharat at Kancheepuram.